Outside of sales, brand recognition is what every advertiser wants. When customers are searching for your product or service, you want your business to be the first that comes to mind. When it comes to using brand names in your ads or on your site, you may be wondering whether or not you could gain clicks from these popular terms that are aligned to your business, but that you don't directly own in terms of trademarks and copyrights. The answer depends on how you use them, but before we delve into some of the common allowed uses and pitfalls of trademarks and copyrights in Bing Ads, let’s define what we’re talking about. 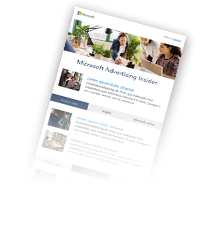 The Bing Ads intellectual property guidelines govern the use of trademarks and copyrighted products in advertising and on your website. The term "trademark" generally refers to brand names, logos and slogans that are associated with a business, while "copyright" refers to ownership of original work such as music or software. Let’s talk about how to appropriately use these components within your keywords, ads and landing pages. Some markets allow you to bid on competitor keywords whether or not they are trademarked. You can find details about specific markets within our advertiser guidelines. For example, if you are a company that sells gardening supplies and would also like exposure to those searching for a larger retailer, “Contoso Lawn Care,” bidding on that term is fine. If you are having issues with multiple rejections that you feel are legitimate, you can request bulk exceptions. Choose highly relevant keywords. Bidding on trademarked terms that have little relevance to your content may get you clicks, but using keywords arbitrarily can get your ads reported and lead to a low conversion rate. What’s the point of getting people to your landing page if they don’t stay there? Check your settings. Using dynamic text to insert trademarks into ad copy is a common reason for rejections. Please make sure if you are bidding on brand name keywords, that it’s not causing your ads to be in violation. Only use authorized endorsements. You read that a movie star loves a moisturizer you sell online. While using the name of the product may be allowed, advertising with claims like “Joe Famous’ Beauty Secret” or updating your website with his photos, is not. Only advertise authentic products. We do not allow the promotion or sale of counterfeit or pirated products on our network. If you don’t have the real thing, you can’t label it as such on your website or sell it using other logos or branding. Carelessly using trademarked or copyrighted content isn’t just annoying—it can be illegal. As an advertiser it is your responsibility to make sure that you aren’t stepping on any toes. In most cases, brand owners will contact you directly with issues, but Bing Ads does review all complaints that we receive. With the holiday shopping season drawing near, updating your keywords and ads is probably at the top of your marketing list. Make sure to double-check any trademarks or copyrights you may be using and avoid extra hassles. Also, keep in mind that well-chosen non-brand terms can be very effective. For more guidance, please review our intellectual property guidelines and ensure your ads and keywords are approved quickly. We’d love to hear your thoughts, so please leave a comment if you have questions on using brands and trademarks in your ads.